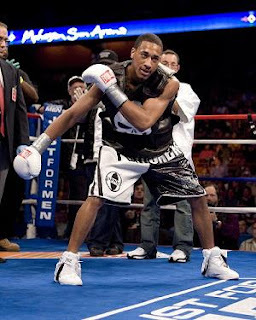 On Friday night, one of boxing brightest star's, Providence, Rhode Island's Demetrius Andrade (11-0, 8KO's), will look to keep his unbeaten record in tact, and kick off what is expected by many to be a very big year for the 22-year-old southpaw, when he takes on Alberto Herrera (7-1-1, 5KO's) from the Cox Pavilion in Las Vegas, NV. The bout, scheduled for eight rounds in the jr. middleweight divison, is promoted by Joe DeGuardia's Star Boxing and Banner Promotions, and will kick off ESPN's 2011 "Friday Night Fight" series. Also on the same night, not too far away in Fairfield, California, fellow undefeated prospect "Flawless" Brandon Gonzales (13-0, 10KO's) headlines Telefutura's fight-series season opener when he squares off against Lester Gonzalez (11-1-1, 6 KO's) in an eight round middleweight contest. That bout is promoted by Star Boxing, in association with Let's Get It On Promotions on Don Chargin's card. "We are expecting huge years out of both Demetrius and Brandon," stated promoter Joe DeGuardia (DeGuardia co-promotes Andrade with Banner Promotions and Gonzales with Let's Get It On Promotions). "They are both very exciting and talented, and they are right on the cusp of moving from top prospects to legitimate top ten contenders in their respective divisions. As long as everything goes as planned, we will keep both of them very busy this year, and believe that they will both be ready to challenge for their first world titles by early 2012. They are both elite prospects, and we expect two stellar performances from them on Friday night." 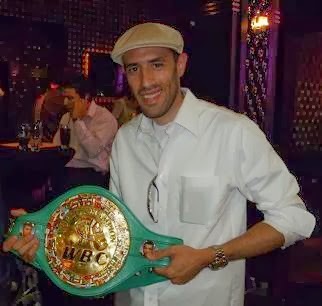 Andrade, the 2007 Amateur World Champion and 2008 U.S. Olympian, went 3-0, 2 KO's in 2010, with two of those fights coming on the nationally televised Friday Night Fight series. Gonzales, who was the 2006 Regional Golden Gloves Champion, ranked number one as a light heavyweight in the U.S. as an amateur in 2005 and went 4-0, 2 KO's. Both Andrade and Gonzales are expected to be tested somewhat on Friday night, with both taking on just once beaten foes. Coincidentally, both Andrade and Gonzales' opponents are coming off their first career losses, both at the hands of Chris Chatman, who Andrade previously defeated in 2009.